When someone suffers an injury due to another party’s negligence, the victim reasonably assumes that the injuring party is responsible for the accident and resulting damages. But many states have comparative liability laws that take the victim’s liability into account and deduct compensation payments based on the amount of responsibility attributed to the injured person. Helmet laws are one example of the effects of comparative liability. When helmet use is not required by law an injured person may not be held responsible for an accident. When helmet use is required, the injured person’s own negligence will play an important role in compensation determination. A bill that is moving through the Massachusetts legislature would require horseback riders to wear helmets, or risk a citation and $50 fine. The state would join Florida and New York as the only states with law, requiring helmets for horseback riders. Head injuries account for about 18% of all horseback riding related injuries, but they are the number one reason for hospital admission due to the sport. While it is well established that helmets significantly reduce the likelihood of traumatic brain injury while horseback riding (along with a variety of other sports), the decision to create laws regarding helmet use are not always popular. Some people think that helmet law will keep everyone safer and will hold people responsible for negligent injuries that result from lack of helmet use, but other people believe the decision should be left to each individual rider. Massachusetts also requires helmet use by all motorcycle riders and by bicyclists age 16 or younger. New Hampshire has no helmet laws for horseback riders, and it is one of only three states that does not require helmets for adult motorcyclists. 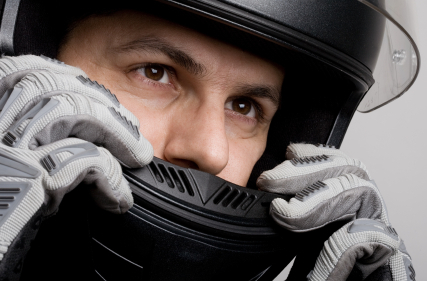 Motorcycle riders under the age of 18 are required to wear protective headgear. New Hampshire also requires helmet use for bicyclists under the age of 16. When helmets are not legally required, the choice to wear a helmet can still be factored into compensation payments. Bicyclists, horseback riders, and motorcyclists can all be found fully or partially liable for their own injuries if they do not choose to wear protective gear. New Hampshire uses a modified contributory negligence law. Under New Hampshire § 507:7-d, an injured person can be held proportionally responsible for an injury if the person is found to be 50% or less responsible for the injury. If the injured person is found to be 51% or more responsible, the person loses the right to receive compensation for the injury. If you or a loved one has suffered a motorcycle crash with significant injuries, while not wearing protective headgear, you should contact NH’s top motorcycle accident lawyers. The attorneys at Tenn And Tenn will help you hold the responsible party liable for your injuries, and will help you recover compensation for your injuries. The motorcycle lawyers are long time motorcycle riders and know the in’s and out’s of a motorcycle crash claim in New Hampshire.